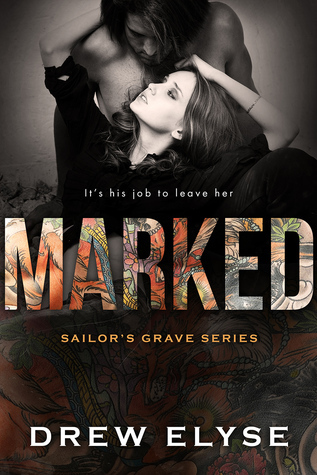 Marked was a hit and a miss for me. I liked the story and the way the characters were written but I hated the fact that she was three years out from a loss and hadn't dealt with anything. I get love being strong and feeling guilty is normal, but I hated that she used it like a crutch to prevent herself from moving on. I did however love the way Liam or Lee as Kelly called him had patience with her. And that she didn't sit around whining too much after she decided to heal her heart finally!! Her kid was cute and the family dynamic was perfect. I loved Liam more than I liked his Gypsy... she just annoyed me with her unwillingness to get past the whole husband who was dead. I thought she was over it enough to move on, but then she was still dealing with it in the epilogue which was somewhat annoying. Loving someone so much is okay and I get that it still hurts but treating the man you love differently because its the anniversary of your dead husbands death isn't okay. That's not healed—its not letting go which I didn't like. I got that she loved Joel (I even understood why the baby's name and the day of the anniversary of his death would be hard on her and make her sad.) but the whole weeks of grief thing overshadowed the romance making it a little depressing.